On Thursday, lawyers for Donald Trump requested that the civil fraud suit against him and his for-profit real-estate seminar scheme be delayed until after his January inauguration. The trial is set to start in California district court on November 28. The case is one of two class-action fraud suits filed in California by former customers of the real estate seminar program. The fake university is also facing criminal fraud charges in New York state. 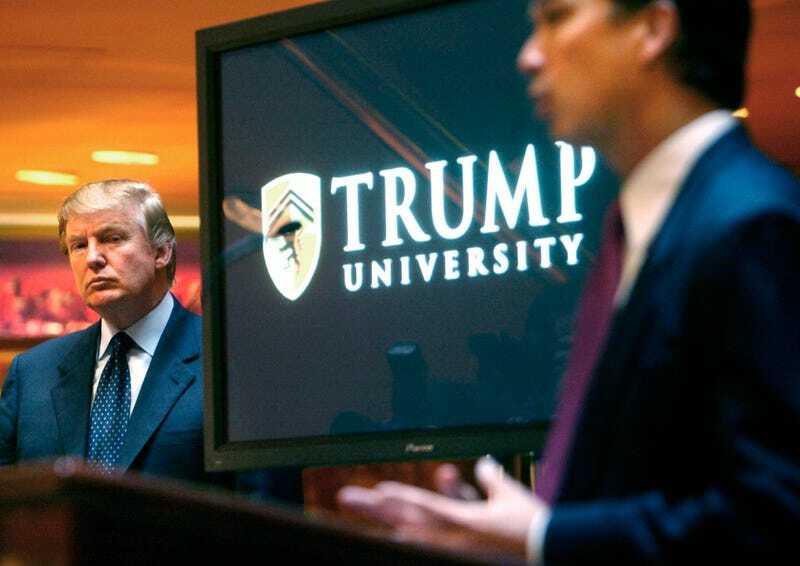 Students say they paid as much as $35,000 real estate investing “secrets” from Trump’s “hand-picked” instructors, only to discover the entire operation was a scam.